With Earth Day this month, I was inspired to make a tag album with bits and pieces of different collections that had a Spring feel for pictures I had taken on Easter. I wanted it to be super feminine and soft as I was making this as a keepsake for my daughter. Botanical Tea, Precious Memories, Sweet Sentiments and Gilded Lily all came into play for this little mini! Tip 1: Don’t throw away your precious Graphic 45 paper scraps. 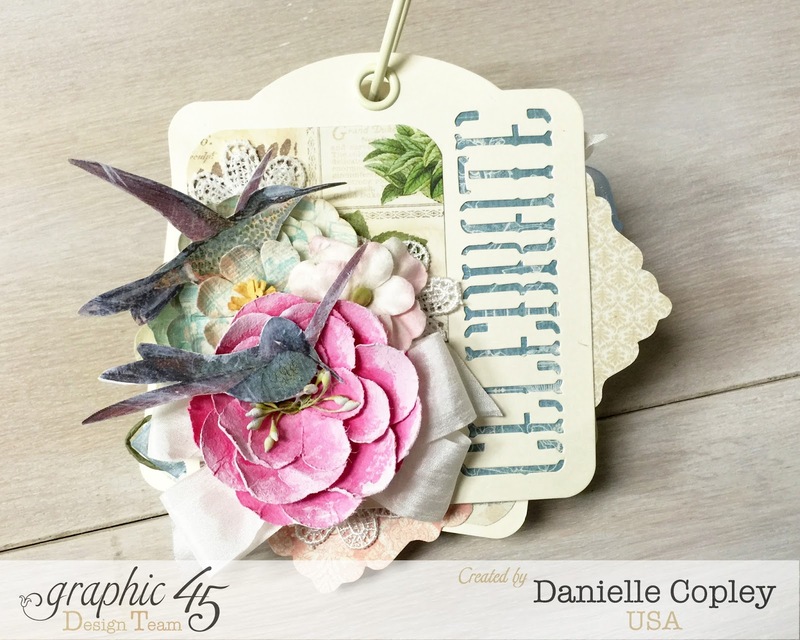 Graphic 45 Collections, new and old, blend well with each other and just a little of this and that can be just enough for the perfect project. 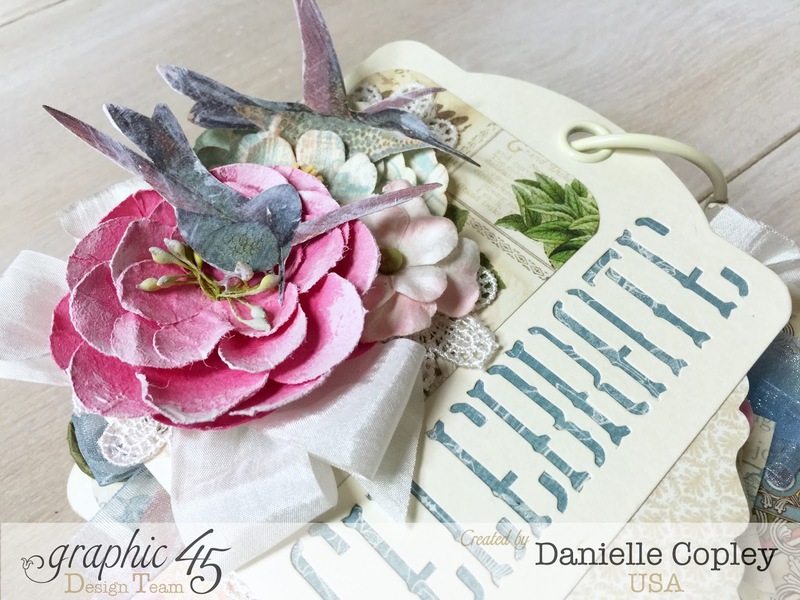 Tip 2: When blending the different collections, I loved various embellishments, but the images didn’t quite “go’, so I tucked the pocket/tag/chipboard behind another element just enough to hide what I didn’t want shown but far enough out to show a pretty border and add dimension and shape to the page.